'LiAR isn't a raytracer' is an open source, cross platform, object-oriented and extendable raytracer written in C++ and Python by Bram de Greve. I’ve started writing this post back in June, but I guess something else came up =) LiAR always has been an on-and-off thing, and this is no different. But let’s finish this one before the end of the year. For the last few weeks months, I’ve been working on a parser for the PBRT scene description language. This is the file format used by the likewise named renderer from the book Physically Based Rendering: From Theory to Implementation by Matt Pharr and Greg Humphreys. The command-oriented structure of the PBRT file format makes it very easy to build a parser for, and double so in Python. The file consists of a series of statements, each one starting with a command name followed by a number of arguments, either positional or named. Following are two statements from an example in the book. The first is Rotate with four positional arguments. The second is Shape with "disk" as positional argument and two named ones radius and height, valued  and [-1]. 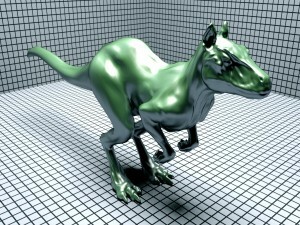 Killeroo rendered by LiAR with PBRT parser. Killeroo model courtesy of headus 3D tools; scene from PBRT book. The lexer is probably the hardest part to write: the function that translates the scene file into a series of tokens. And even that one is very simple if you make use of the undocumented Scanner class from the re module. We build a generator function _scan that reads the file line by line and feeds them to the scanner. The tokens are returned as a list of (type, value) pairs, which we yield one by one. assert not remainder, "syntax error"
The major trick of the parser is to implement all PBRT commands as direct callable Python functions. Following is the implementation of Rotate. The first parameter self serves the same function as the C++ this pointer, and is independent of the PBRT syntax. It is only necessary because I’ve implemented the commands as methods of the PbrtScene class. The next four parameters correspond to arguments of the scene description, one by one. DOF dragons rendered by LiAR with PBRT parser. Dragon model courtesy of Stanford University Computer Graphics Laboratory; scene from PBRT book. The Shape command is a bit harder, as the first parameter is the shape type, and determines what parameters should follow. I tackled this by playing the same trick again. For each shape type, I provide a function _shape_<name> to be called. Shape eats the positional argument name, and the Python interpreter collects all remaining keyword arguments in **kwargs. Shape does not have any positional arguments other than name, so there’s no *args. Eventually Shape uses name to lookup the appropriate shape function, and calls it with the keyword arguments received. In the example, _shape_disk will be called and the content of **kwargs will automatically be mapped on the parameters height and radius. All that is left to be done, is parsing the tokens generated by the lexer, and calling the command functions. Here’s a simplified version of the main loop, I’ve left out the Include statement. Each time we encounter a new identifier, we know we’re at the start of a new statement. We execute the previous one, and we store the current identifier for later use. If we find a parameter name, we know the value following will be a keyword argument, so we store the keyword. In any other case, we have a parameter value. If it’s the start of a list, we first eat tokens to complete the list. If we have a stored keyword, the argument is stored in kwargs and the keyword is reset. Otherwise, we append it to the positional arguments args. To execute the statement (in bold), we lookup the corresponding method using getattr. If it doesn’t exists, an AttributeError is raised. Next, we calll the method passing the positional and keyword arguments *args and **kwargs. The upshot of all this, is that we get syntax checking for free. If we call Rotate with the wrong number of arguments, the Python interpreter will complain with a TypeError. Complex ecosystem rendered by LiAR with PBRT parser. Model from Deussen et al. Realistic modeling and rendering of plant ecosystems; scene from PBRT book. Voila, this sums it about up. It gets a little more complex than this, but not so much. Large parts of the PBRT scene description (version 1) are already implemented, but there’s lots to be done. 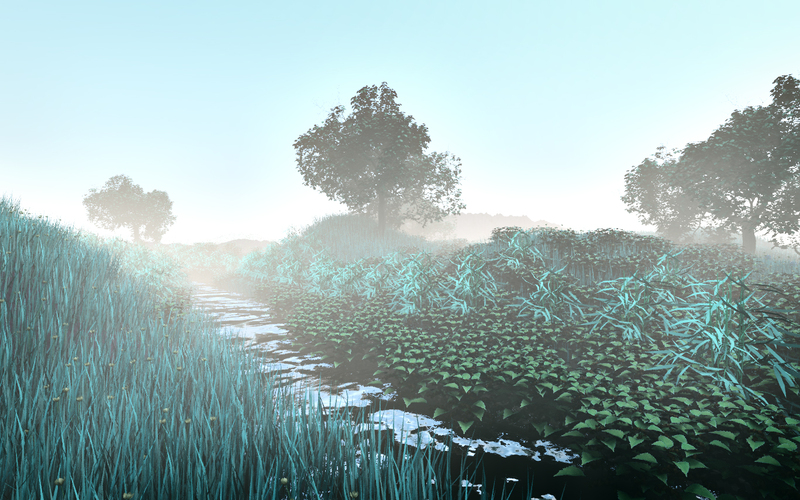 And then we didn’t mention version 2 of the scene description and the LuxRender extensions. But as said in the introduction, this is an on-and-off thing, and features are implemented on as-needed basis. PS: many thanks to Matt Pharr and Greg Humphreys for writing such a wonderful book! Only Visual Studio solution files are available so that rules out nmake. DLL creation involves an custom build tailored for x86. The Visual C++ Express editions are x86 only anyway, so you have to work around that as well. And surprisingly, it seems that no-one has ever bothered so before because there’s hardly anything to be found on the web. The OpenEXR build is rather picky on the build tree layout. While the absolute location is free for choice, you need to add an extra layer for things to play out nicely. On my machine, I’ve put everything in C:\libs-x64\openexr-1.6.1, but that could be just any other location. This extra layer is necessary to make sure the goodies are gathered in C:\libs-x64\openexr-1.6.1\Deploy. Otherwise, they would end up in C:\libs-x64\Deploy. Open a Windows SDK CMD shell. 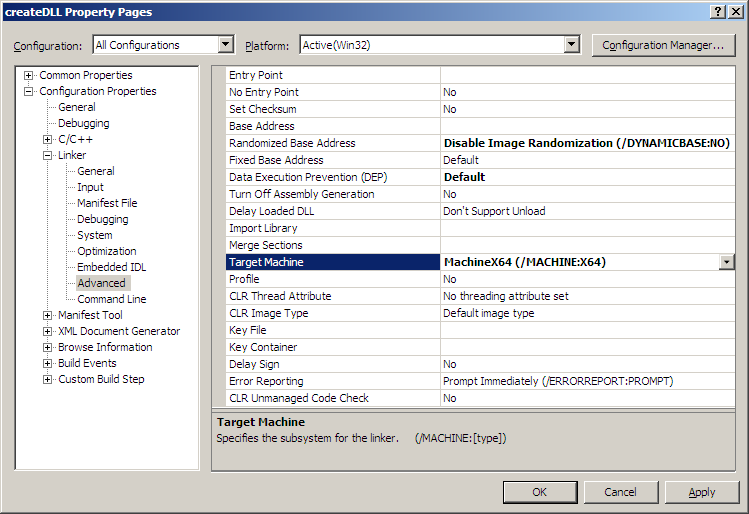 This sets all the required environment variables to use the x64 compiler. "%VCINSTALLDIR%\..\Common7\IDE\VCExpress" /useenv or whatever the location to vcexpress.exe is. The /useenv switch is important to tell the IDE not to use the default compiler, but to assume the environment is already setup ready to go. This is exactly why we run this within the Windows SDK shell. 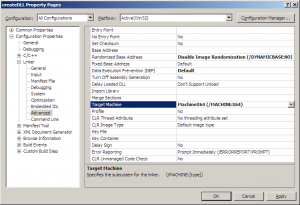 Open a solution and make sure you target the x64 platform. You won’t be able to setup a new x64 configuration, but you can just open the Win32 configuration, go to the advanced linker options and specify MachineX64 (/MACHINEX64) as target machine. IlmBase contains the createDLL project that builds a tool for the custom build steps. You need to tweak its sources to correctly skip names starting with an underscore. Because createDLL assumes the x86 __cdecl calling convention which decorates names with an extra underscore, it actually only skips names that start with at least two underscores. But the x64 calling convention does not decorate them as such, so names starting with a single underscore slip through the net. ilmbase-1.0.1\vc\vc8\IlmBase\IlmBase.sln and convert if necessary. If you get errors like fatal error LNK1112: module machine type 'X86' conflicts with target machine type 'x64', you should have started VCExpress with the /useenv switch from the Windows SDK CMD shell, as described above. nmake -f win32/Makefile.msc AS=ml64 LOC="-DASMV -DASMINF" OBJA="inffasx64.obj gvmat64.obj inffas8664.obj"
OpenEXR expects the zlib headers and libraries to be in the Deploy directory as well, so that’s where we’re going to put them. … are really good fun. And a huge performance killer too. Especially if you enable in-scattering on your final gather rays. Oh boy, that really hurts! 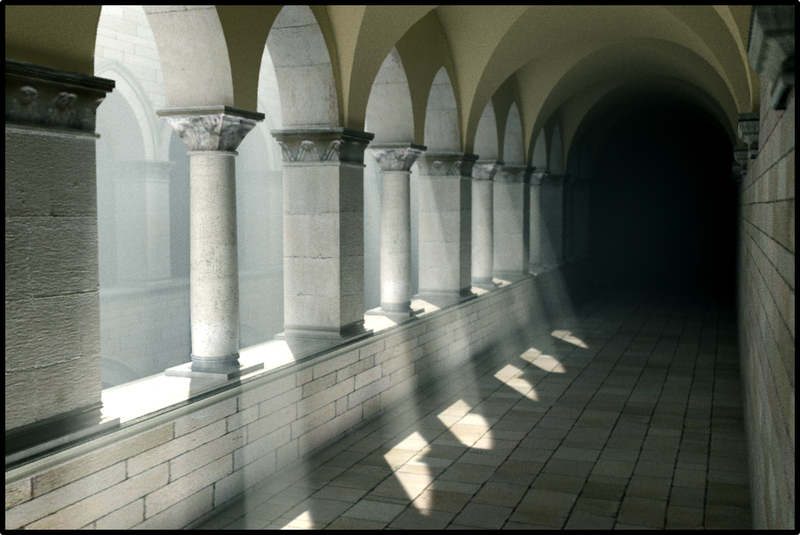 Still playing around with the Sponza atrium, I wanted to do a render of sunlight being casted through the arches on the first floor. Anyway, to cut things short, here’s the final render. It only took a ridiculous long time to compute (12 hours on a quadcore). Click on the image for full resolution. Tonemapping has been done in photoshop. Model & textures courtesy of Marko Dabrovic. Adding single scattering was easy enough. Just ray march or sample some points along your camera rays and add light source contributions to each of them using a suitable phase function. Don’t forget to add some attenuation – Beer’s law comes to mind – to your camera rays, light rays and photon paths. Basically on anything that travels through your medium. As phase function, I’ve chosen to use the widely used Henyey-Greenstein model. It isn’t particularly the fastest one around, but as I don’t have a good profiler (yet ;), I don’t really know its impact on the render time anyway. Multiple scattering is somewhat of a different beast, though it’s not too difficult either. In the photon mapping world, it means augmenting the renderer with a volumetric photon map that records all scatter events during the photon trace pass. For each photon that travels through a medium, you sample a possible scattering location. In case of a homogenous medium, this is as simple as feeding a uniform variate in the inverse cumulative of the exponential distribution, which can yield a travel distance from zero to infinity. If it is nearer than the first surface intersection, you store the photon and sample the phase function for a new direction. Some more details can be found in Lafortune and Willems (1996) and Raab, Seibert and Keller (2008). In the rendering pass, I used the beam radiance estimate from Jarosz, Zwicker and Jensen (2008) to collect the in-scattered light from the volumetric map on the camera and final gather rays. This method represents the volumetric photons as spheres, and all photons intersected by a ray contribute to it. In case of camera rays, I ignore “single scattered” photons, as I account for single scattering seperately. Because this operation weights very heavy on the final gather step, I stochastically skip the in-scattering estimate for a number of gather rays. For each ray, a uniform variate is compared to a quality factor. Only if it is lower, volumetric photons are collected. The result is divided by the quality factor to compensate. That way I can trade speed for accuracy. Added TriangleMeshComposite which merges the triangle meshes of different objects into one acceleration tree. This is especially important in the Sponza atrium, as the 34 different TriangleMesh objects in the sponza scene largely overlap. So ray traversals are going to hit the bounding boxes of most of them, most of the time, and as such the traversal degrades to a linear search of the scene objects. Using the TriangleMeshComposite, ray traversal visits only one triangle mesh. Final Gather step uses the local effective estimation radius to decide if secondary gather rays are necessary. Before, it used the global maximum estimation radius, but that one needs to be quite large. So the secondary gather step was triggered a lot, causing either a huge performance hit, or a quality drop. In areas with high photon density, this threshold may be lower as the photon map is much more detailed and the need for second gather rays averted. The rule is now that secondary gathering is only used if the length of the first gather ray is smaller than the effective estimation radius of the photon lookup. Otherwise, it is assued that the first gather step is of sufficient quality. The samplers (Stratifier and LatinHypercube) take into account the pixel super sampling when generating samples for lights, BSDFs, gather rays, … For example, when using 3×3 super sampling with 8×8 gather rays each, the stratifier will generate the gather samples on a (3*8)x(3*8) grid. Here’s a render showing the current state of LiAR. Click on the image for full resolution. Tonemapping has been done in photoshop. Model & textures courtesy of Marko Dabrovic. 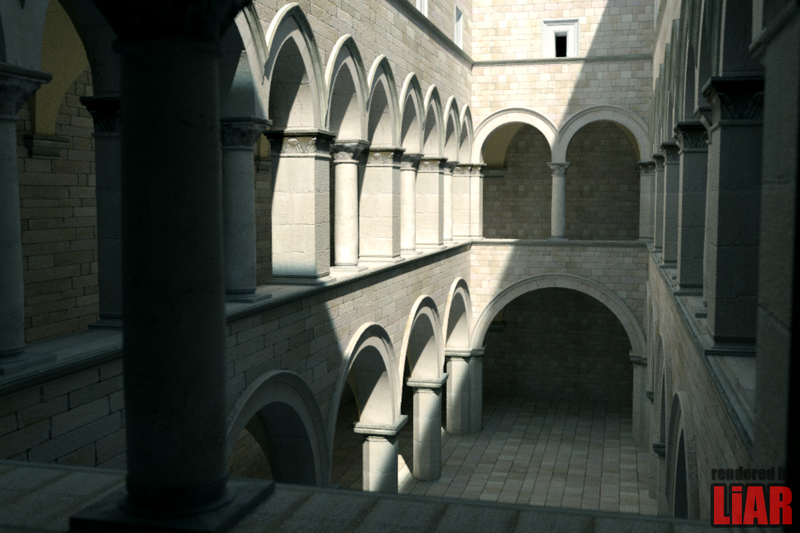 Implement subtractive lighting to render objects with an existing backdrop in one pass. Stay tuned, and happy Pi day! OK, it has been more than two years since my last update on liar.bramz.net. Back then, we moved from liar.sf.net to liar.bramz.org to liar.bramz.net, the subversion repository got a new URL, and everything went silent. What happened? Well, I started taking real pictures instead, that’s what happened … And I started doing it quite regularly as well, mostly concert photography. Started shooting befriended bands, then I joined Indiestyle and later I was the in-house photographer of Westtalent 2009. But then, fellow indiestyler Jaan Meert posted on facebook a 3D render of a lego tractor he made for school. And that’s got it itching again … I wanted to do 3D renders myself, but it LiAR was severely out of shape. So shaping has to be done, and after all this time, coding on LiAR is fun again. Currently, I’m working on the good old sponza atrium, to get things in good condition to tackle further challenges. I’m using Blender as a platform to set up the scene, and export it to a python script for LiAR. It’s working as a charm, and you may expect updates soon! in other news : Plücker coordinates not so good for you? Christer Ericson, author of Real-Time Collision Detection has written a little article on Plücker coordinates and why they are considered harmful. It’s great. I never really understood what all the fuss was about, as I could do the Plücker coord tricks as easily with basic 3D linear algebra and its triple product. So, I’m glad to see some of the big guys agree! As of 28 June 2007, Sourceforge will decommission the SVN access URLs starting with https://svn.sourceforge.net/svnroot/. They are replaced by URLs with the project names in front. For LiAR, this looks like https://liar.svn.sourceforge.net/svnroot/. The new URL scheme is part of an upgrade of the Subversion access method to improve its stability. If your local working copy uses the old URL, follow the switch instructions so that you can still access the repository after 28 June. PS: I know LiAR has been silent for the last couple of months. There was just too many other things to take care off. However, the last couple of weeks, I’ve resumed coding on LiAR, albeit slowly, so hopefully I will be able to add some new posts in the near future. We’ve successfully moved the LiAR home page to http://liar.bramz.net. This should allow us to upload bigger renders, and get better search engine coverage. The old URLs starting with http://liar.sourceforge.net should redirect traffic to the new site so that no links get broken. Make sure you have at least three gigs of free space on your C: drive. To be on the safe side, make it four gigs. Windows Update tries to shove this up your arse as a security update, but don’t let it. Do a manual install instead. Log in as Administrator. I know you already have super monkey admin powers, but do it anyway. Well, it did solve the test errors we had in the win32_vc8 build of Lass, like the fld loading corrupt data on the FPU stack. It also solved the template class member function overload ambiguity we suffered in testUtilThreadFun. It did cause some other troubles though. Apparently SP1 screws up on default arguments in function template declarations. In lass::prim, all intersection functions are implemented in *.inl files with the function declarations being listed in the accompanying *.h file. These functions have a parameter tMin that defaults to zero. This worked/works fine on VC6, 7, 7.1 and 8 sans SP1, all GCCs I could get my hands on, but not on VC8 SP1. It still compiles the code, but at runtime, tMin contains garbage when the default value is used. Unfortunately, I was unable to reproduce the problem on a smaller scale. Anyway, the solution to this problem was to move all intersection functions to the header files so that the separate function declarations no longer exist. While debugging another segmentation fault on linux, I was trying to run LiAR in gdb (actually KDbg). The program crashed somewhere in an allocator, but the reason why was almost impossible to see. The debugging experience was crippled because distutils compiles with full optimization -O3 by default, at least my linux box. If I was going to debug it properly, I would have to get rid of that switch and use -O0 instead. But for some mysterious reason, distutils always used -DNDEBUG -g -O3 -Wall -Wstrict-prototypes, regardless of the --debug switch. It turns out distutils is getting these from the original Makefile used to build Python and stores them, together with the name gcc, in an attribute compiler_so of the CCompiler object. This attribute is later used to invoke the compiler. 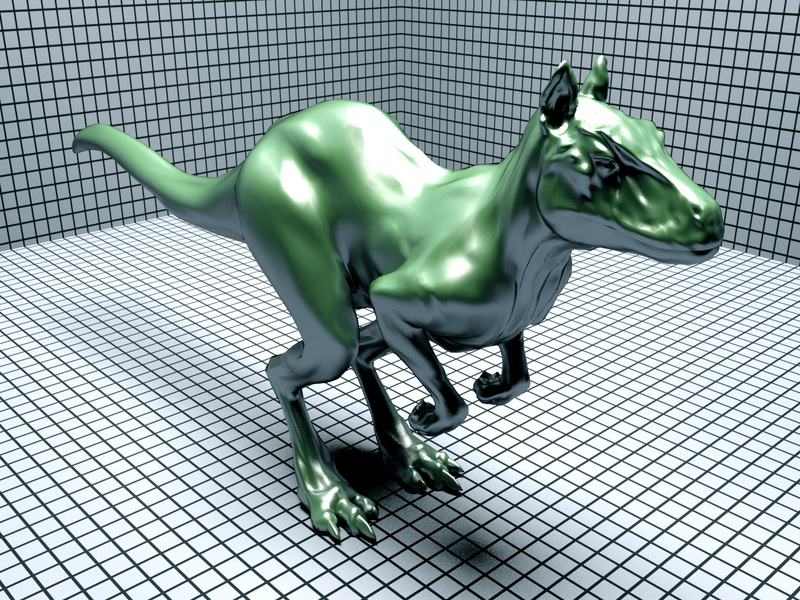 LiAR isn't a raytracer is an open source, cross platform, object-oriented and extendable ray tracer written in C++ and Python by Bram de Greve.